As a 3PL, you will need to manage various orders, shipping options and automation rules for individual customers. To do this, you need to be logged into the individual customer account. Users logged into the 3PL account will be able to select between different customer accounts using the drop down displayed on the top navigation bar. This is available in the dashboard for web and will work on a desktop or mobile web browser. To manage a customer account, select the customer from the drop down and the page will be set to that customer once reloaded. Note: 3PL account users will only see customer accounts specified in the user settings, if no customer accounts have been selected, the drop down will not be visible. Typically, not every 3PL user will need access to all customer accounts, and this can be easily managed at a 3PL user account level. 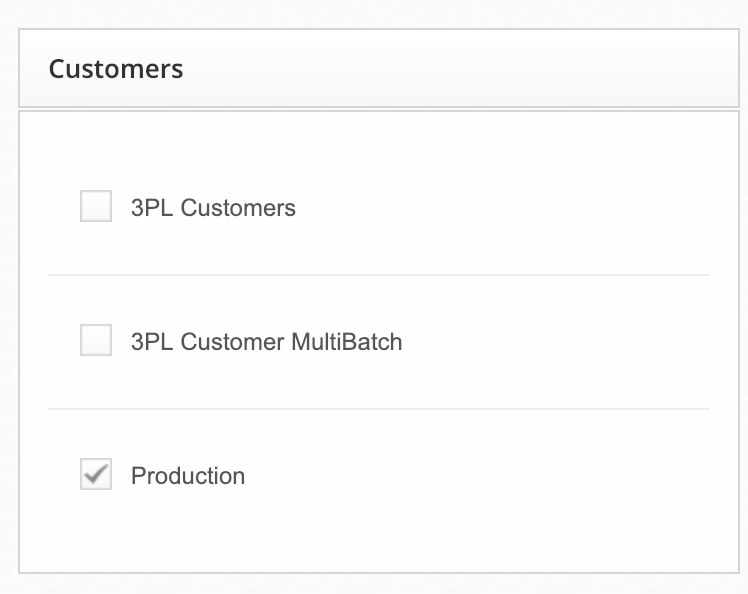 3PL users with user management permissions are able to specify which customers any 3PL users can manage by checking customers in the edit user view.